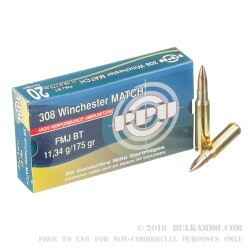 This is a case lot of 500 rounds of .308 Winchester Ammunition by Prvi Partizan. 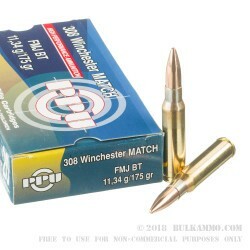 It is rare that you can find a deal like this for .308 Winchester ammunition and that is for run-of-the-mill ammo by bargain producers – not legitimate match ammunition like this PP offering. This is a sub MOA round that can be shot out of any .308 rifle and will always improve the performance of what your gun can do. 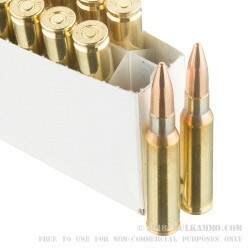 The relative value of this case lot of ammunition is pretty incredible. While most rounds in this caliber struggle to meet the “less than a dollar a shot” threshold, they are certainly not shooting sub MOA. Prvi Partizan has a genuine winner on its hands. This is a 175 grain full metal jacket boat tail design projectile that is placed on top of an impressive mix of components with a very clean burning powder that offers supreme consistency, thanks to the excellent production line protocols and standards employed by the Serbian based maker. 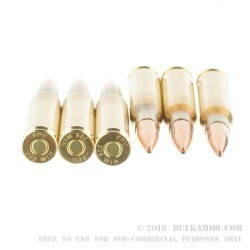 The brass is reloadable thanks to premium quality and the Boxer primer. The company has been in existence since 1928, which makes it a very longstanding company that has quite a reputation for reliability.